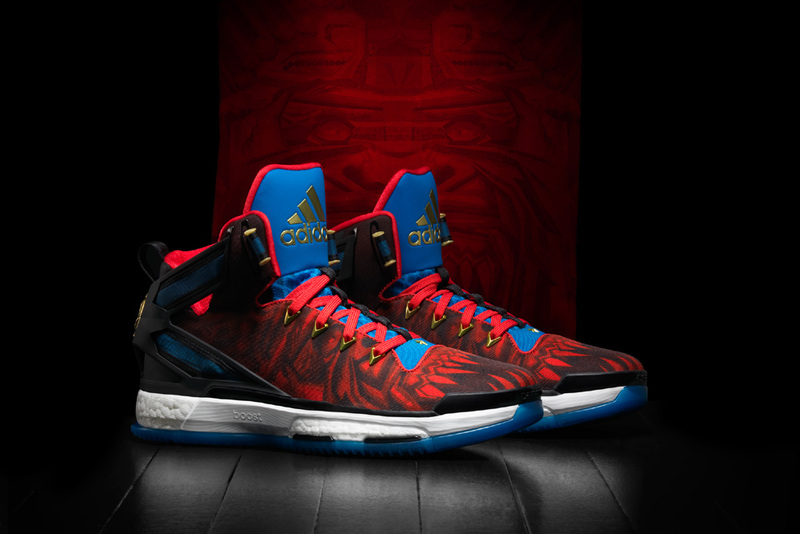 The three stripes brings the fireworks with this adidas ‘Chinese New Year’ pack featuring the D Rose 6 and D Lillard 2. The Lillards appear to be less available, at least when you consider the amount of retailers carrying the shoes. The D Rose 6 features a red and black upper, which showcases the aggressive nature of the fire monkey (which is the Zodiac animal this year). 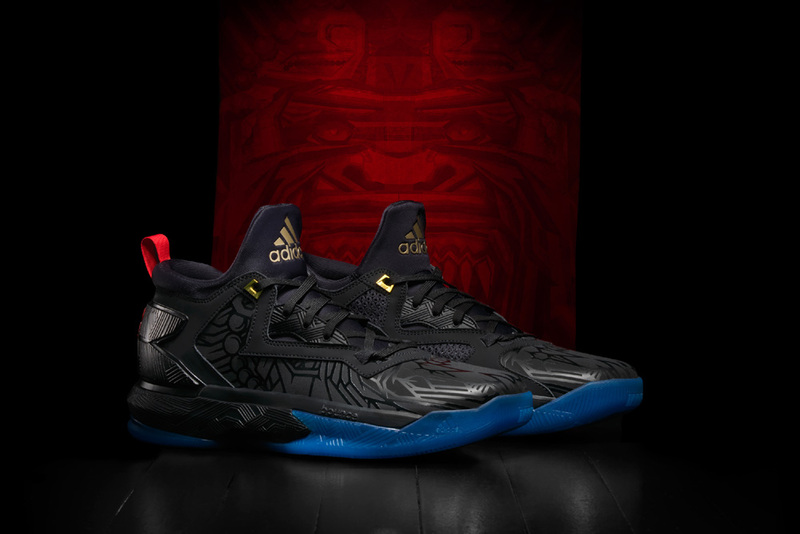 The Lillard 2 features a black upper with a graphic print of a fanged fire monkey. Both shoes are great performers, with the D Rose featuring the cushy Boost technology and the Lillard featuring fantastic Bounce cushioning and a woven upper for a low price. What’s the upper of the d rose made of? Any idea what the material is for the Dame 2s for this colorway? From pics I’ve seen, the Rose really looked like it was neoprene or some kind of soft textile. Most believe the Lillard is running a stiffer synthetic. I haven’t seen a real close-up, but it seems that way for sure to achieve the graphic. Used the $30 off coupon and came out to $78. Can’t believe I spent only that much for this pair. This is gonna be a hard year for my wallet. I hope they fit the same as the rip city pair since I learned my lesson and went down half a size. Which coupon would that be if you don’t mind sharing? It came with the rip city pair I got from Adidas.